What is a Dry Cappuccino? What is a Dry Cappuccino? →What is a Dry Cappuccino? What is a Dry Cappuccino? The world of coffee can be complicated, and hence, difficult to understand. Even professional baristas will tell you that they can still get confused at times, especially when they need to prepare for a lot of customers. Coffee is not as easy as adding grounds, water, and sugar. It is an art. It is a science. It takes skills in order to master how it can be done. 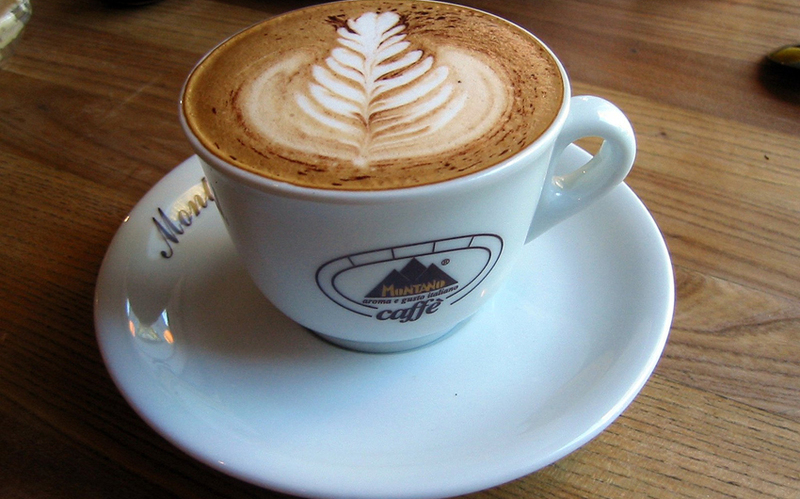 There are different variants, such as in the case of dry cappuccino. With this, if you are wondering what is a dry cappuccino, keep on reading and we will let you know more about it. This will help to make you more educated about coffee. Before we proceed with our discussion of what is a dry cappuccino, let us first have a look at what a cappuccino is. For sure, you have heard of it several times and seen it written in menus of popular coffee shops. But, do you actually know what it is? Simply put, this is a traditional Italian coffee drink that is made with the use of espresso, hot milk, and steamed foam. In some instances, rather than using milk, cream is used as a substitute. There are also cases wherein it is topped with cinnamon, or any other powdered flavoring. Now, let us proceed to the subject of this post. Generally speaking, when you say that it is a dry cappuccino, the steamed milk that is used is lesser. Most of the milk is frothed on the top of the drink. Because there is a higher foam on the top, it is going to provide the insulation that is needed, making the drink at the bottom stay hot for a longer span of time. It is also the variation that is perfect for making latte art. In contrast, in the case of a wet cappuccino, the layer of frothed milk is thin while the steamed milk in the bottom is usually thicker. Now that you know what is a dry cappuccino, it will also be good to be knowledgeable about how to prepare your own. Here are the few simple steps that you can follow, which can instantly turn you into a professional barista. Start with the preparation of the espresso shot that will be placed at the bottom. In this case, you will need to have a traditional espresso machine. Otherwise, you can use a Moka pot, but it is going to be a bit tricky and will require effort on your end. When using a machine, make sure to use the right coffee grounds and water, while paying attention to right techniques, like tamping and pressure, providing you with the guarantee that the quality of the yield will be impressive. Prepare the milk. Steam it at a temperature that should not be higher than 160 degrees Fahrenheit. If the temperature is beyond such, the quality and structure of the milk will be altered, which will significantly have a negative effect on its taste. Once your milk is already hot, have it poured in a cup with the espresso at the bottom. Make sure to do it as carefully as possible. Do not just let the milk pour in one go. Rather, it should drop gradually. It should be poured at least 10 centimeters away from the cup. Once it is formed, a crema will form on the top. Just in case you do not know, a crema is the bubbly layer that can be seen on the top of the espresso. If you are about to finish pouring the steamed milk, move the jug closer to the cup, to the point wherein the end will be almost touching the drink. This will cause the white part of the milk to expand from the top. Now, your drink is ready. You can enjoy it as is, just like how Italians traditionally enjoy it. However, if you prefer more flavor, you can add a dash of cocoa or cinnamon. This will also enhance the look of your cappuccino. If you want a dry cappuccino, just make sure to lessen the steamed milk and pour more of the frothed milk on the top of your cappuccino. Use a spoon in order to scoop out the froth from the jug and have it transferred to your cup. By now, I hope that you already know what is a dry cappuccino. May this article be helpful in giving you additional knowledge about coffee. For sure, it will be a lot easier for you to prepare your own variant of the drink at home, provided that you have the equipment that will be necessary. If you do not have the tools, at least you now know what is the difference of dry and wet cappuccino and you can act like a true enthusiast the next time you visit a coffee shop.